Marathon here we come. The weather forecast looks good for our overnight run. The big question of the day is what time do we push away from the docks. There are lots of parameters to consider: leave at slack tide here at the marina, be to the shallow areas of the St. Lucie River at high tide, be to the inlet at slack tide, reach Miami and the Hawk Channel in the daylight, and reach Marathon in the daylight. All of these wishes are not compatible. We compromise some of these desires and decide to leave at 12:30 PM. This puts us about one hour after slack tide at the marina and we will have a high tide when we reach the shallow areas of the St. Lucie River. Exiting the breakwater inlet at 2 PM, we find 3-4 ft. swells and a slight breeze. We should have a great overnight run. Christopher and Alexandra aboard Sweet Ride, a 44 ft. Krogen at Sunset Bay, are thinking of running overnight also and ask us to let them know the sea conditions once we get outside the inlet. We call them on the VHF and tell them to come on out conditions are acceptable. They are already on their way and are about one hour behind us. We decide to do circles and give them time to catch up. It is always nice to have a buddy boat when doing these overnighters. 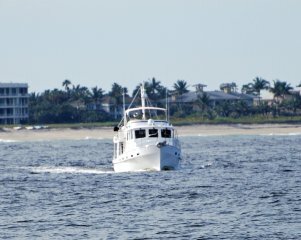 Running just one mile offshore, we find the seas lumpy but very doable. Fish are jumping out of the water all around us. We think they are baby Mahi. Jeff has a cold and doesn’t feel like setting up the lines so we forego fishing. Sweet Ride does wet a line and soon has a small tuna aboard as a reward for their efforts. The seas continue to improve during the day. 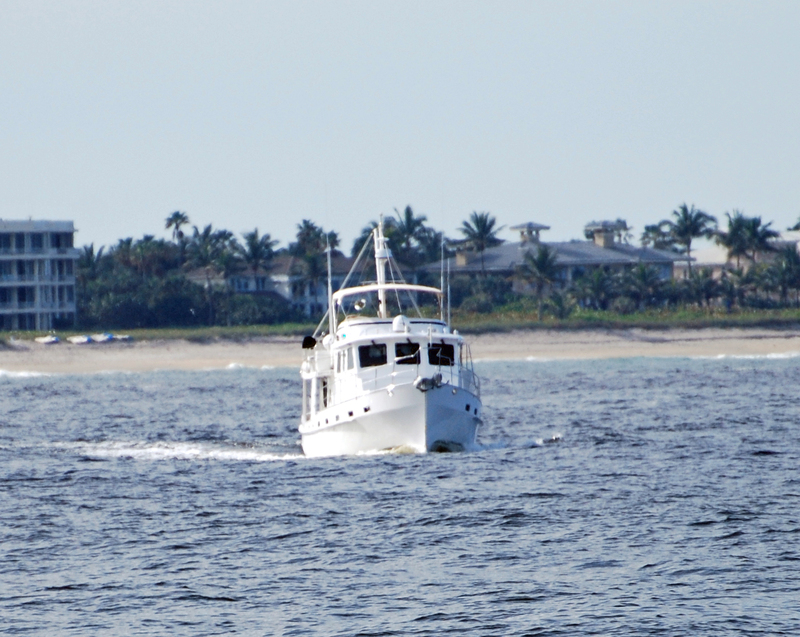 Reaching the Jupiter inlet at 5:00 PM, the seas are flat calm so we decide to move farther offshore as darkness is approaching. This will give us an extra margin of safety from the fishing boats running close to shore and also should keep us away from any lobster pots. Out 2 ½ miles from shore, our speed drops considerable while the seas continue to build. We must be catching part of the Gulf Stream and have lost 3 knots of speed. After an hour of this, we radio Sweet Ride and the decision is made to move back closer to shore. Sure enough, our sped picks up to the normal 8 knots. The overnight is uneventful. Jeff gets lots of practice using his new FLIR. It is nice to be able to visually confirm the boats and buoys that we pick up on the radar. 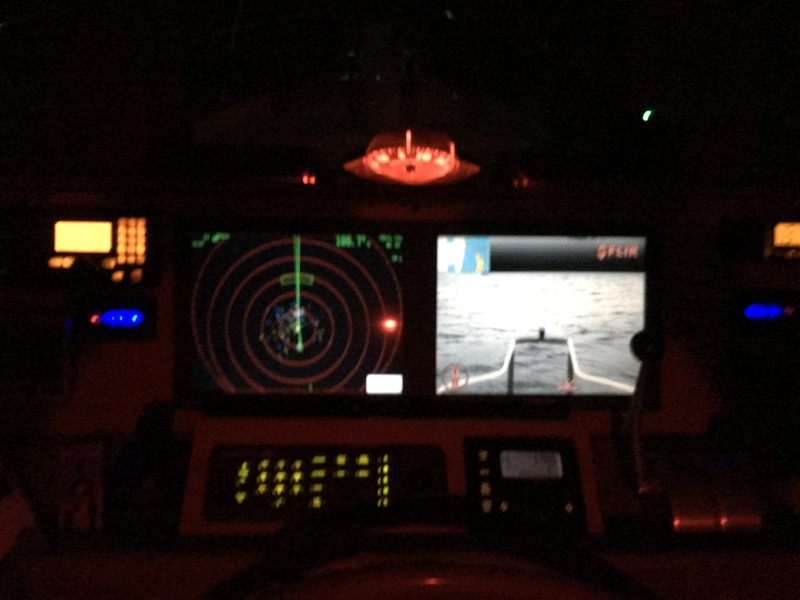 Nearing Port Everglades at 3:30 AM, our AIS lights up with several cruise ships. We divert our path staying well out of their way. 5:30 AM finds us approaching the busy Miami port. Ideally it would have been nice to transit this area in daylight. There are several container ships anchored along with two cruise ships on the approach to the inlet. We again divert our course and stay well out of their path. Sweet Ride follows close behind. The sun is just peeking above the horizon as we reach Key Biscayne and our entrance to the Hawk Channel. This route will take us inside the barrier reef all the way to Marathon. With lots of crab traps, we timed our travels on this section of waterway to be during daylight. 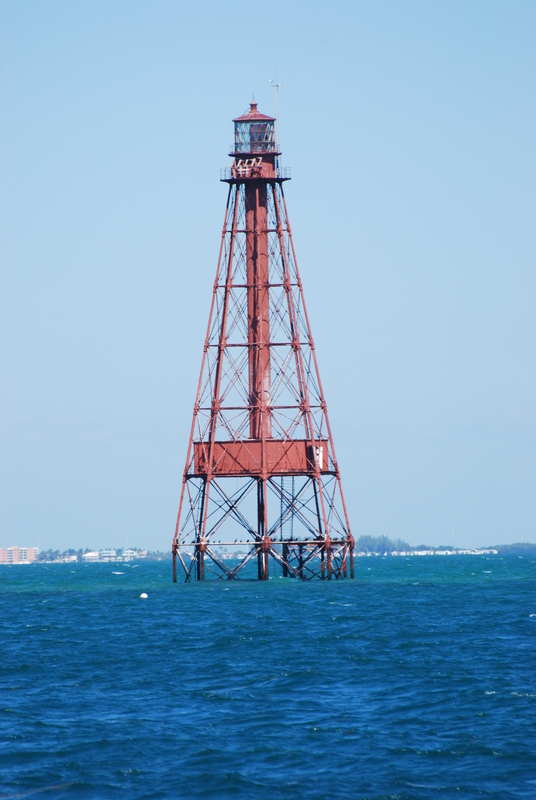 Other than dodging the many traps, we have a pleasant trip and are soon to our anchorage off Rodriguez Key. Christopher and Alexandra graciously invite us to lunch aboard Sweet Ride. The Tuna that Christopher caught yesterday is soon on the grill. We say our goodbyes to Christopher and Alexandra as they will be making the jump over to the Bahamas in the next few days. Back aboard IT, it is early to bed for us as we are tired from our overnight passage. We are underway early the next morning for our six hour run to Marathon. The Hawk Channel is somewhat rough today with seas building to five feet. 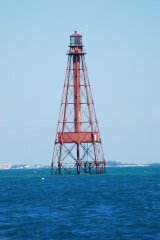 We are glad to see the Sombrero Reef Light and our entrance into Boot Key Harbor. As we approach Marathon Marina we see a group of our Krogen friends on the dock ready to catch our lines. We immediately begin to feel at home here as many of the other boaters come by and welcome us to Marathon Marina. Most of the boaters here are long time winter residents. 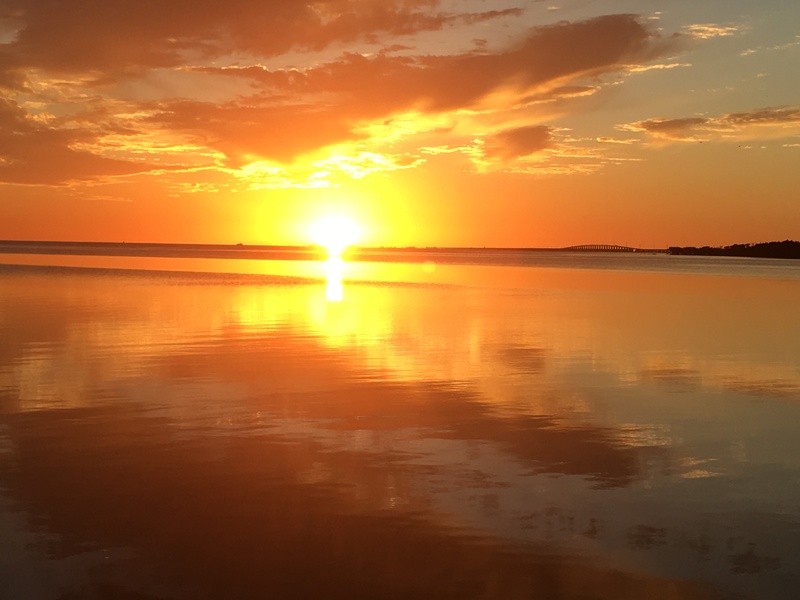 Due to its location at the entrance to Marathon Harbor and the western sunset views of Seven Mile Bridge, reservations here are hard to come by. We reserved our slip a year in advance. 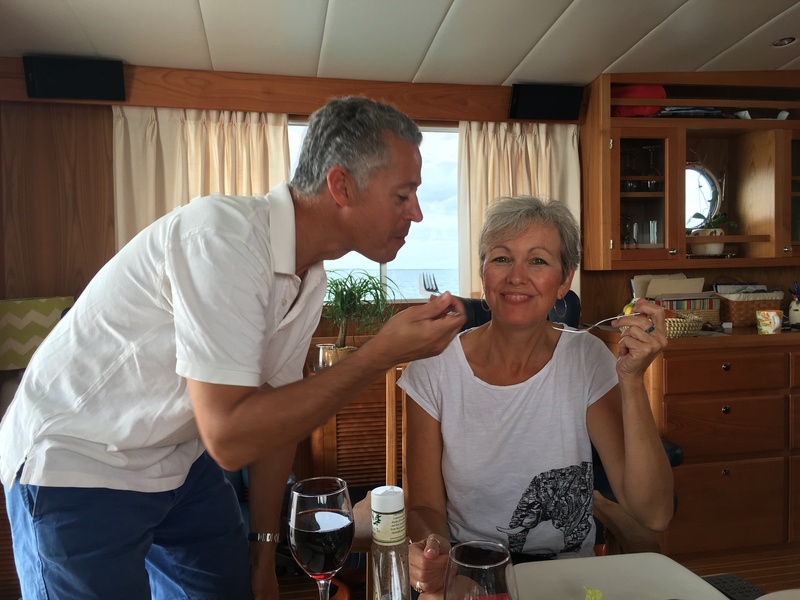 Meg and Jamie aboard Wanderers Rest invite us to dinner aboard their Krogen this evening. Paul, aboard the Krogen Bulldog Sally joins us. It is a great way to begin our two month stay here in Marathon. 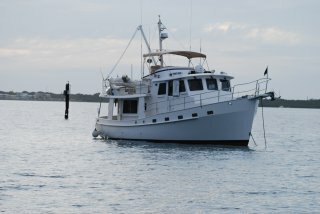 Unfortunately, Wanderers Rest will be leaving tomorrow on their way to Key West and then on to western Florida. We end the evening with goodbyes and hope our paths cross again soon. This entry was posted on February 19, 2016 at 10:10 pm. You can follow any responses to this entry through the RSS 2.0 feed. You can leave a response, or trackback from your own site.